LightSquared, a 4G satellite internet provider backed by an eccentric billionaire, could change the nature of broadband Internet in the United States. The only problem is that their network could just make GPS receivers go blank. LightSquared is poised to change the nature of broadband Internet. But it might render GPS receivers useless in the process. Backed by Philip Falcone’s Harbinger Capital Partners (more on Falcone in a bit), LightSquared is attempting to launch a satellite-based wireless broadband network whose coverage area encompasses the United States. Their proposed system, which is based around the 4G Long Term Evolution (LTE) standard and uses satellites, would bring remarkably fast Internet access to tens of millions of rural-living Americans that currently lack even reliable mobile phone coverage. LightSquared’s setup involves integrating the former SkyTerra mobile satellite communications system with an on-the-ground wireless network that uses the same L-band radio spectrum as the satellites. Access to LightSquared’s proposed network is being doled out by a steady series of agreements with commercial service providers–household names such as Sprint and Best Buy. The big snag is that LightSquared’s novel proposed communications network could seriously interfere with GPS receivers. Drivers on their way to Wally World who are in the vicinity of one of LightSquared’s base stations would merely run a healthy risk of getting lost. Pilots landing at airports near base stations would face much more serious problems–it could be deadly for aircraft and military and commercial vehicles that depend on the devices for safe navigation. LightSquared’s on-the-ground wireless network would use a chunk of the radio spectrum which is immediately adjacent to the frequencies used by almost all GPS service providers. A recent series of FCC tests found that LightSquared’s network currently causes conflicts with a wide variety of GPS receivers (PDF). After testing more than 130 devices, the FCC found “potentially significant interference” caused by LightSquared’s proposed use of the radio spectrum. The interference was consistent and occurred repeatedly. Another source of worry is an independent study conducted by the Radio Technical Commission for Aeronautics (RTCA), a not-for-profit trade organization that works closely with the federal government and maintains close ties to big names like Boeing, Lockheed Martin, and Raytheon. According to the RTCA study, LightSquared’s radio system appears to jam GPS receivers on planes. The problem becomes particularly acute in close proximity to base stations. LightSquared is already involved in the GPS industry. 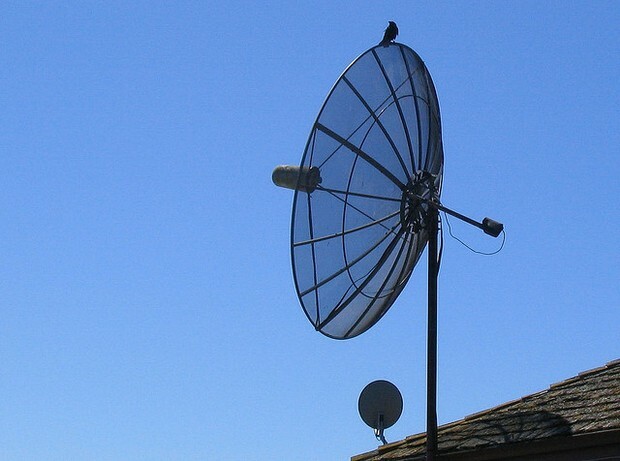 OmniSTAR, a major player in the field, leases satellite bandwidth from LightSquared. LightSquared also has an ongoing financial relationship with satellite provider Inmarsat. In other words, LightSquared is not just a satellite internet provider–they’re also positioned to become a major player in the highly lucrative GPS industry. And Falcone, the man behind it all, is a character, even by the standards of high-flying hedge fund billionaires. He’s reportedly under SEC investigation for using a $100-plus million loan from his own hedge fund to pay his taxes. And his wife is a fashion-loving gossip staple and has enough backstory to fill a book. Personalities aside, one solution being proposed by LightSquared and the FCC–a technical fix to currently available GPS receivers–would cause massive disruption for both casual GPS users and a massive swath of commercial and military interests who rely on GPS. LightSquared is engaged with the FCC and GPS industry officials in an ongoing working group to find some sort of resolution to the problem. Other solutions, including a reduction in power of more than 50% to the firm’s base stations, have been floated. Companies and organizations ranging from Garmin International to FedEx and the Aircraft Owners and Pilots Association have all expressed public concerns about LightSquared’s network causing serious GPS interference. There is no love lost between LightSquared and the GPS industry; both are currently at odds with the FCC stuck in the role of impromptu mediator. LightSquared recently raised $265 million in their latest round of funding and have reportedly signed a 15-year network-sharing agreement with Sprint. Other agreements have already been signed with Leap Wireless and Cellular South. According to LightSquared, if approved, their network will be able to serve 260 million Americans with high-speed internet by 2016. But in the meantime, they will have to solve the tricky problem of just how to stop their cool tech from turning GPS receivers into expensive paperweights.